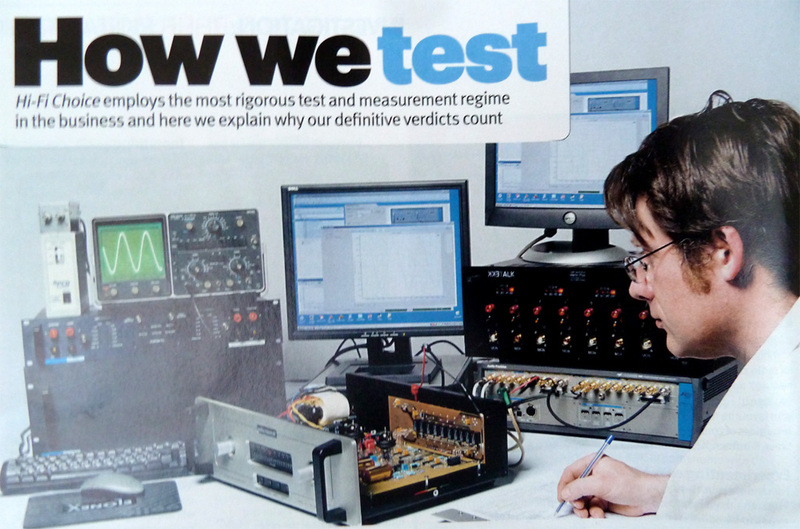 For over a quarter of a century, my main profession has been that of a technical writer and journalist. I have written – and continue to write – features, reviews and news stories for a wide variety of publications – among them websites, national newspapers, specialist consumer magazines and the trade press. Topics of interest have included historical media, satellite and online television technology, business and consumer IT and telecoms, home-video and hi-fi. For a number of years, I was Technical Editor for a major London-based publishing group. If you would like an article, script or book chapter that’s technically-accurate and readable, then please get in touch with your requirements. I can also prepare technical papers or marketing materials for business, liaising with staff as necessary. Is your firm approaching an anniversary? I could research the history of your company and interview key staff with the view of preparing an interesting and informative book (or pamphlet) to mark this important date. Until digital took over, there were three analogue video standards in use around the world – PAL (UK, all of Europe except ex-Soviet territories, Australasia, parts of Africa/Middle East and China), SECAM (France, other parts of Africa/Middle East and Eastern Europe) and NTSC (Korea, Japan and North America). I can handle material of all such standards on VHS, Betamax, U-Matic and DV. Under most circumstances, SECAM/PAL material would be transferred to PAL (576i) DVD, and NTSC material to NTSC (480i) DVD. However, I can also convert between NTSC and PAL with an ex-broadcast standards converter that, when new, sold for more than the price of a typical semi-detached house in South-Eastern England! It’s capable of excellent results, with none of the resolution loss or motion judder you get from software or cheap hardware conversion. As a result, I can make an NTSC disc from a PAL tape or a PAL disc from a NTSC tape! I can also transfer PAL or NTSC laserdiscs with analogue/digital sound (if their content isn’t available elsewhere!) to DVD. Currently, I’m investigating how to extract a 5.1 DTS or Dolby Digital soundtrack (as found on some later NTSV laserdiscs) and multiplex that with video for DVDs. Those with long memories might remember the CED videodisc; I can transfer PAL variants to DVD too. Nothing moves as fast as the world of computers. A problem many of us face is discovering that a replacement PC lacks a floppy disc drive and thus the means of importing archive work files. Vintage floppy and hard disc drives (e.g., those with MFM, SCSI and IDE interfaces) cannot be connected to newer machines. Then there are the older machines (such as that one-time education staple the BBC Micro, CP/M office computers and advanced home machines like the Amiga and ST). For this reason, I maintain a stable of old computers, ranging from a late-70s Exidy Sorcerer to Apple PowerMacs. Using techniques like terminal-emulation, the data can be transferred from the older format/machine to a PC and thus to more modern media like SD cards. A large number of 3.5in. and 5.25in. floppy drives are also kept; some are better at reading certain discs than others. Floppies do seem to deteriorate with age far more than audio/video tape – or for that matter hard disk drives (on which subject, I have had a high degree of success rescuing valuable data from these). Next, we move to the film and video side of my operation. I can transfer 8mm, Super 8 and 16mm film (with or without sound – which, in the case of 16mm, can be optical or magnetic) to region-free DVD. Correction can be applied to colour films that have tinted with age . With video (and, as a contributor to and sometime technical editor of magazines like What Video, Home Cinema Choice and Camcorder User for over 20 years I have gained a considerable amount of experience in this field) there is a plethora of formats to deal with. I can transfer Sony CV2100 and EIAJ reel-to-reel video (the latter in colour), Philips N1500/1700 (‘VCR’ and ‘VCR-LP’) cassettes, all U-Matic varieties (including hi-band and SP), Betacam/Betacam SP, Funai/Technicolor’s CVC, Grundig’s SVR, Philips V2000, Sony’s Betamax and SuperBeta (with or without hi-fi or linear BNR stereo), all varieties of VHS and VHS-C (VHS/S-VHS with linear or hi-fi stereo, D-VHS), all varieties of 8mm (8mm, Hi-8, Digital 8), DV/Mini-DV, DVCAM and DVC-Pro. Wow, that’s a lot of formats; if you’re not absolutely sure what you’ve got, then please get in contact and I’ll try and identify your media. 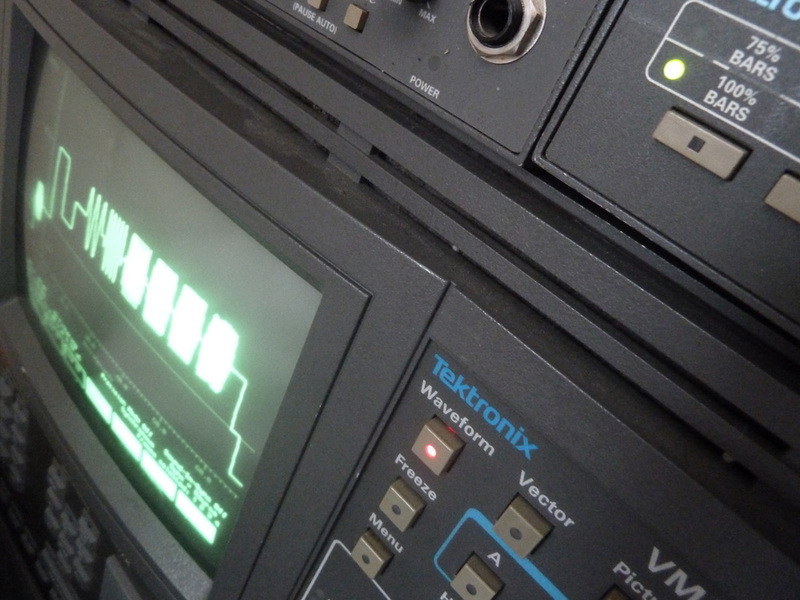 Some of my machines – e.g, Betamax, U-Matic and Philips VCR/VCR-LP – have been custom-modified to give the best possible video output – separate colour (chrominance) and greyscale (luminance) feeds, rather than composite video or RF. It’s truly amazing the difference this makes! Most video is passed through a broadcast-quality timebase corrector (TBC) before being sent in digital component form to a computer (for file output) or professional DVD recorder. All machines are professional-standard with integral TBC (to hand is a variety of Sony, Panasonic and JVC machines) or, if unavailable, top-of-the-range domestic (the latter essential for LP or EP VHS recordings, which won’t play on SP-only pro gear!). Monitoring during transfer is done using calibrated broadcast-standard displays and test equipment. If you require files, these can be supplied in the format/compression system of your choice; transfer starts with uncompressed digital video. Digital correction (such as audio/video noise-reduction, audio/video adjustments, poor A/V sync and the elimination of bad edits) can be applied on request; I can advise if need be. If you want material (film or video) on DVD, I would advise storing no more than an hour of material on each disc if at all possible to minimise DVD (MPEG-2) compression artifacts. However, up to 2 hours is more than acceptable under most circumstances (it’s also essential for feature-length content). You can buy a VCR/HDD/DVD recorder from a big Japanese brand, or even a VHS deck with inbuilt video capture hardware and a USB interface. And second-hand VCRs of dubious condition are two a penny on eBay. The results from such hardware tend to be mediocre. That Japanese ‘combi’ machine lacks proper timebase-correction won’t even play S-VHS tapes properly; it yields VHS quality from them. If you want the best possible transfers of material that is of significant personal value (a wedding or memories of a deceased relative) then you need the services of a company with the right equipment and experience. My fascination with tape and recording has been playing for well over thirty years now, and in that time I have built up a sizeable collection of well-maintained recorders. I can thus transfer any of the more common variety of tape – which is a quarter of an inch wide – onto the medium of your choice. Any track format – one, two or four tracks; mono, stereo or even quadraphonic – and all speeds ranging from 15/16ips (inches per second) to 15ips can be coped with here. Tapes are cleaned, and if necessary (as it is with professional 80s-early 90s tapes from a certain American brand!) subjected to a careful ‘baking’ process before transfer. The playback machine (more often than not, an ex-broadcast studio machine) is then set up for optimal results with that tape; fail to do this correctly, and stereo imaging and treble output will be adversely affected. The machines are regularly maintained, the transport path and heads being cleaned and demagnetised. Recording is with studio-quality equipment at the professional digital standard of 24-bit resolution and a sampling rate of 96kHz. These files can be supplied ‘as is’ on USB media or SD cards; they are ‘downsampled’ to 16-bit/44.1kHz if you want them on CD (however, the original 24/96 files can if requested be archived to a safety backup to be held by Tekktalk at no extra charge). Additional restorative processes such as noise reduction, the rectification of channel imbalances, frequency-response correction and even dealing with dropouts (as well as other editing) can be applied after an examination of the tape and consultation. Quadraphonic tapes can be converted to a four-channel (4.0) DVD-Audio disc or DTS CD that can be played on home-cinema equipment (for optimal playback, though, your speakers might need to be rearranged). Talking of which, there are numerous other audio formats that I can deal with here. 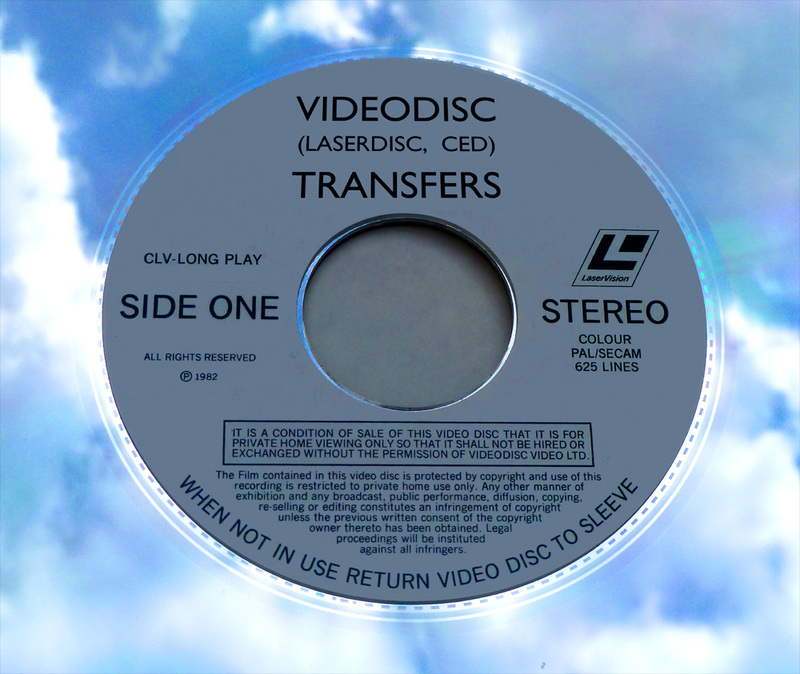 If you want your records transferred to a CD, DVD-A or some kind of file (WAV or FLAC) then that’s possible. 78rpm shellac and LPs are all within my scope, although I would recommend trying to obtain the material on CD or some other commercial format first. However, plenty of material – notably from smaller independent labels – never made the transition to CD. I can also convert quadraphonic LPs (SQ, QS, CD-4 or UD-4) to DVD-A or DTS-CD; these were the product of larger companies, but despite the emergence of surround-capable formats like DVD and Blu-ray few of the 70s-era quad mixes have resurfaced and so as far as I’m concerned they’re ‘fair game’. Commercial material is generally copyrighted, and so archive backups are not held; all I’m doing is making it possible for you to enjoy once more music that long ago you paid for the right to hear! Then there are the other formats I can handle. I can also deal with Sony’s short-lived Elcaset, 8-track cartridges (stereo and quad), regular ‘Philips’ cassettes (I use Nakamichi machines to extract every last ounce of musical performance from your media! 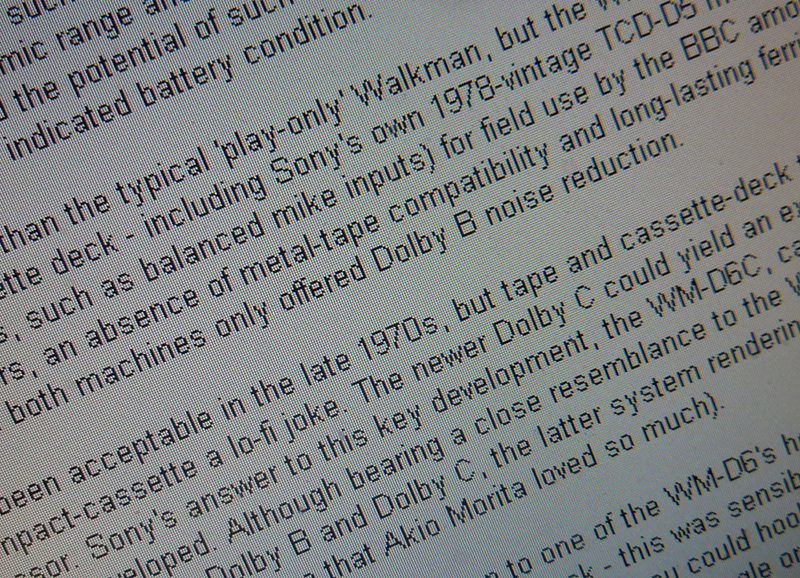 ), microcassettes, the digital Sony PCM-F1 format (which stored audio on Betamax, VHS or U-Matic video cassettes), Minidisc, DCC, analogue NAB cartridges (mono and stereo machines available) and Sonifex’s Zip-based DARTs (the latter two were used by radio stations to play out jingles. I have the recording units and a bulk-eraser, which may interest old-time radio enthusiasts who may want CD jingles transferred to cart! 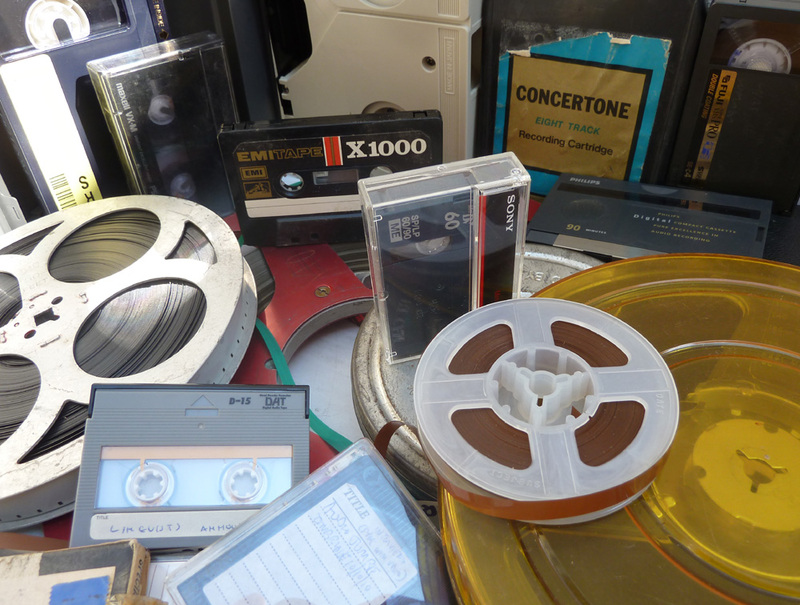 Artists working with ‘found sound’ – discarded media from car boot sales and charity shops – need no longer worry about finding a compatible playback machine. I’m also in the process of restoring an 8-track 1-inch analogue machine, of the type that was found in many smaller studios between the 1970s and 1990s. 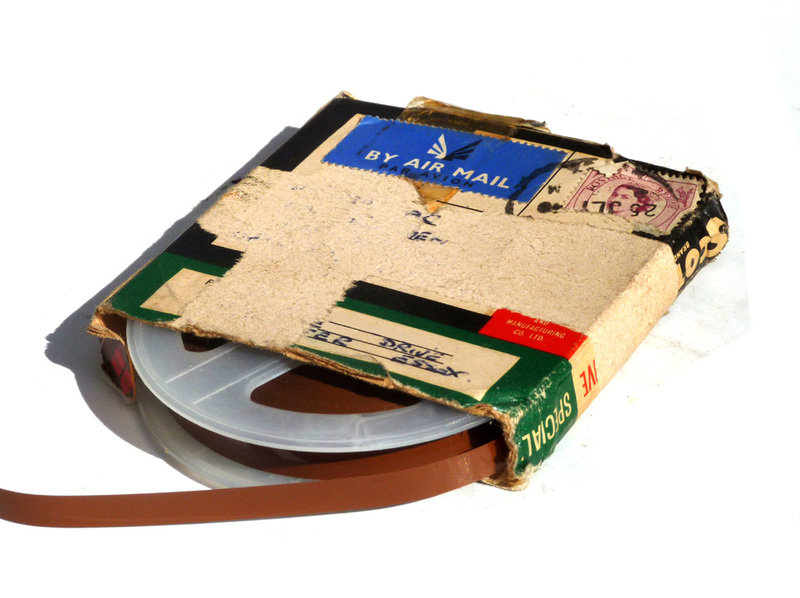 Musicians and bands of that era may shortly have a means of bringing their old master tapes back to life’; once restoration is complete, I’ll be able to supply digital dubs as a set of up to eight 24/96 WAV files – these can be imported into the audio editing software of your choice. Whatever format you want transferred, I will endeavour – as an audiophile – to get the very best from it. If you have a decent playback system, the limitations of , say an LP transferred to digital with a cheap USB turntable, will be only too apparent. High-frequency distortion, low-frequency rumble, an indistinct stereo image and uncertain pitch stability together with a sheer lack of musical involvement will hardly do justice to your discs. And a properly-serviced reel-to-reel machine is more likely to realise, with no risk of damage, the full potential of your precious reel-to-reel tapes than some old ‘banger’ acquired via a certain Internet auction site. Recording formats and technology can give one an insight into the way we used to do things. Consider the magnetic reel-to-reel tape, which – as we know it – has its roots in a long and winding story that takes in elements as disparate as Nazi Germany and the popular American crooner Bing Crosby. It revolutionised the broadcasting and music industries – in terms of flexibility (notably immediacy, reliability and editability) and sound quality (better than existing alternatives like film, wire and acetate disc). It also gave rise to new creative art forms, as demonstrated by the likes of Joe Meek, the BBC Radiophonic Workshop and Karlheinz Stockhausen. Magnetic tape was invented and took shape between the mid-1930s and early 1950s; over this period (and subsequently) the sophistication and sound quality of the tape and recorders improved considerably. And as with most professional tools, consumer variants eventually follow. By the mid-fifties, sales of domestic tape recorders (these valve-driven machines were usually supplied with a microphone, stowed away in a compartment on the side or back) had begun to take off. 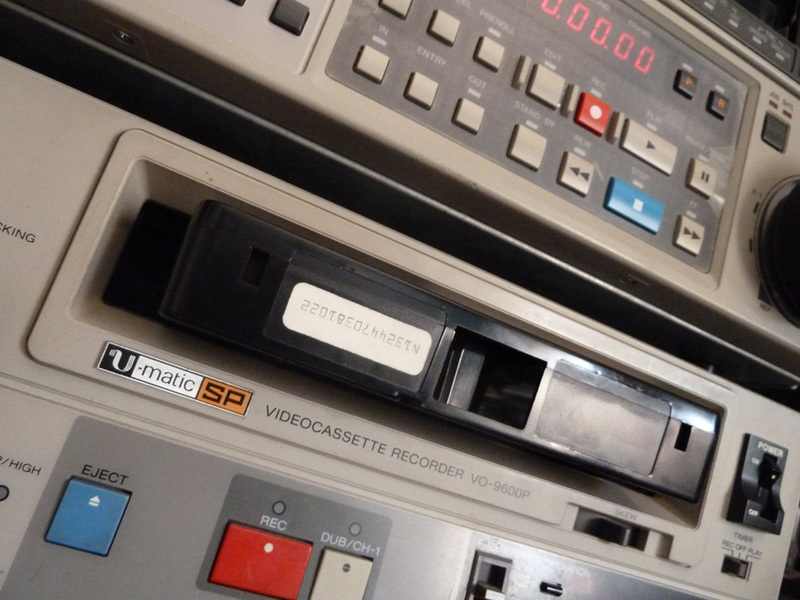 Most were used to capture for posterity amateur musical or dramatic performances (copying records or making ‘mixtapes’ wasn’t an option back then, as recording tape – which admittedly had the advantage of reuseability – wasn’t cheap! ), or record baby’s first gurgles, weddings, church services and other events. Professionally, the tape recorder played a key role in note-taking, dictation and the rehearsal of speeches and presentations. In many parts of the world tape-recording clubs were formed to explore the medium’s creative potential; they were an adjunct to the more-established cine societies. A fascinating ‘time-capsule’ documentary made in the late 1950s by one such London-based club can be found here: http://www.soundsurvey.org.uk/coarsegroove/London%20Tape%20Recording%20Club.mp3 They met regularly in venues like community centres and church halls; lectures, workships and technique/product demonstations were organised frequently. Individual members recorded ambient soundtracks with subjects ranging from country birdsong – through contemporary late 20th-century life, indigenous folk-music and interviews of WWI soldiers – to the last days of steam. As group projects, members collaborated on sophisticated dramas – complete with ‘spot fx’ and complex cut-and-splice editing. 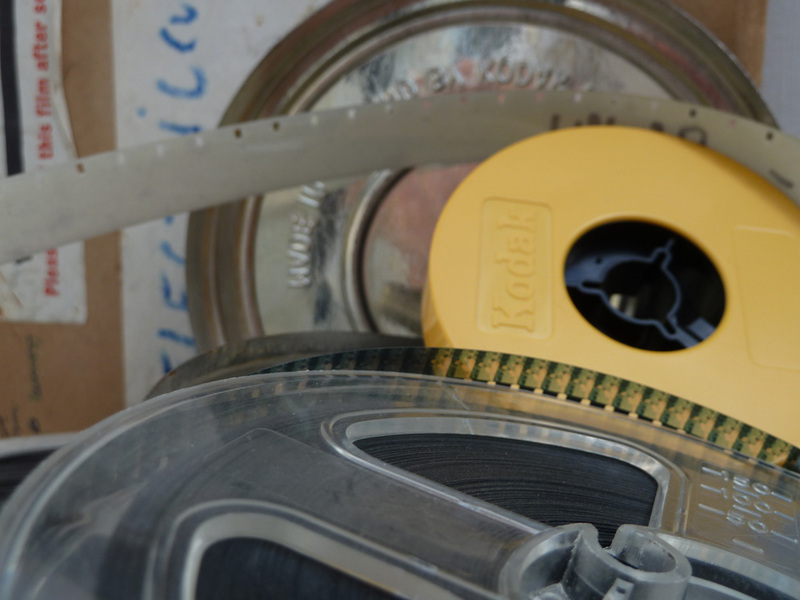 Sometimes, the members of the tape groups got together with the cine clubs and contributed their collective expertise to the audio side of an ambitious film (usually on 16mm, rather than 8mm). The results of such collaboration could look very polished, despite the low budgets. A number of better-heeled or resourceful enthusiasts took great pains to exploit the sonic advantages of the then new-fangled ‘stereophonic’ recording (steam-trains being a favourite subject!). There were also annual amateur-contests (typically sponsored by tape manufacturers like 3M/Scotch), and broadcasters like the BBC devoted airtime to the hobby. All of which was done with cumbersome reel-to-reel machines; even the portables, which were eventually ousted by cassette recorders, occupied more volume than a modern laptop computer By the mid-70s, though, creative tape-recording clubs were on the wane. Long before the current Internet-driven era of practically-free instantaneous global communication, the ‘tapespondent’ sent and received by post ‘audio letters’ to and from distant friends, colleagues and family. Manufacturers sold small (3in. 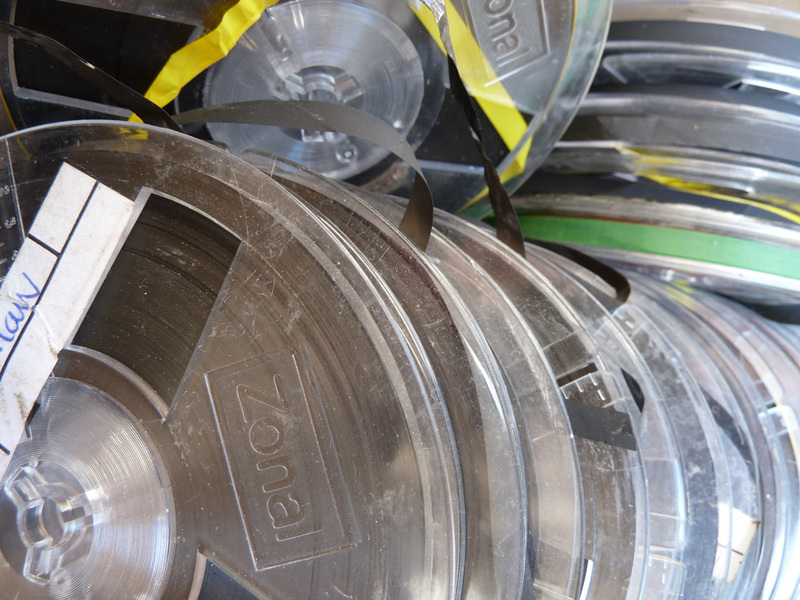 diameter) reels of thin tape specifically for the purpose, complete with ‘jiffy bags’ designed to withstand the rigours of (inter)national transport. Sometimes the tapespondent would re-use the tape, recording over the previous part of the conversation. Others would append their contribution; listening to these disjointed conversations decades later is itself fascinating – even though the audio quality is generally-poor, not least because the machine’s slowest tape speed was used to maximise recording time. In future articles, I will explore the impact of video. How many of us are sitting on personal memories that are denied to us because they’re stored on obsolete audio-visual formats (like those in the picture)? Similarly, old projects that could be resuscitated were it not for the fact that the hardware used in their creation or storage broke down and was disposed of years ago? And then there’s the music or film lover with dozens of videodiscs or vinyl LPs that lurk, practically forgotten, at the back of a cupboard. Wouldn’t it be great to bring them back to life again? As a frequent contributor to the ‘Olde Worlde’ section of the popular UK magazine Hi-Fi World ( http://www.hi-fiworld.co.uk ) and the creator of the popular ‘Audiojumble’ film ( http://www.youtube.com/watch?v=QpVm_WtABH4 ) I have a fascination for the recording techniques, media, formats and technologies of the past. They played a pivotal role in capturing life – creative and mundane, as well as key world events – with increasing frequency from the early part of the twentieth century onwards. Thus the slogan/mission statement of my company Tekktalk: “Preserving The Past For Posterity”. Over the years, I have brought many of the representative machines back to life as restoration projects, and accumulated many more – consumer, professional and broadcast alike – for personal use. They have been maintained with spares and servicing information obtained from across the globe; if parts are no longer available, then close substitutes are sourced or modifications implemented where possible. Sometimes, considerable ingenuity is required here!